* Collector's Edition contents may not be exactly as shown. The Collector's Edition features a limited-edition collector's box that will be shipped to you as soon as it is ready from the manufacturer. 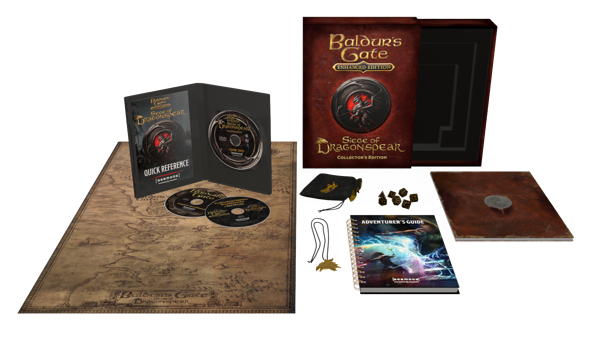 You will also receive a digital copy of Baldur's Gate: Enhanced Edition and Baldur's Gate: Siege of Dragonspear expansion immediately upon ordering. 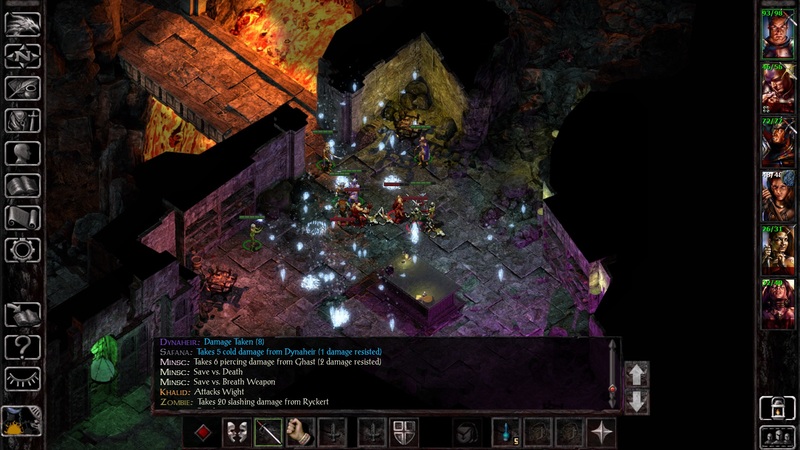 The Standard Edition package includes the Siege of Dragonspear expansion. 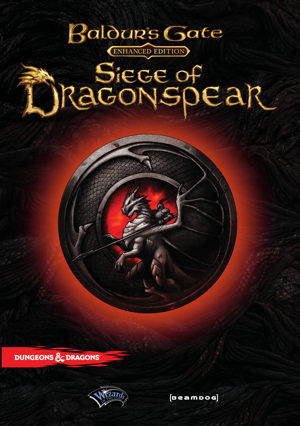 In addition to a digital copy of Siege of Dragonspear expansion, the Digital Deluxe includes a full soundtrack of the original Baldur's Gate, as well as all the tracks composed by Sam Hulick for both the Enhanced Edition and the Siege of Dragonspear expansion. 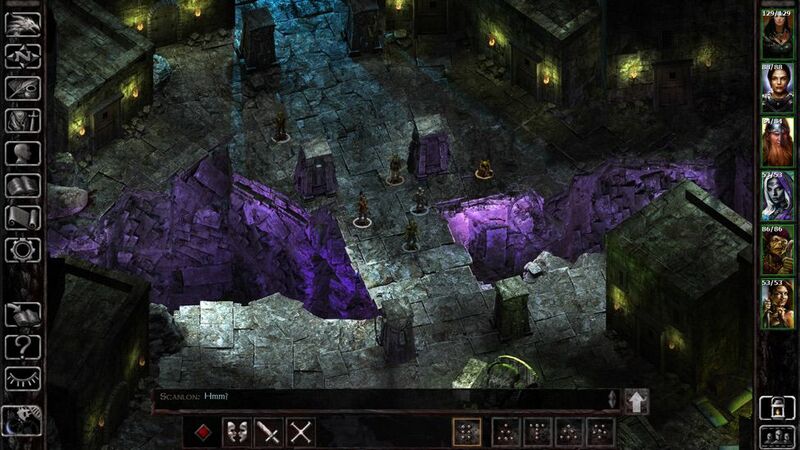 A major new expansion to Baldur’s Gate: Enhanced Edition adds areas, action, and adventure to the original! 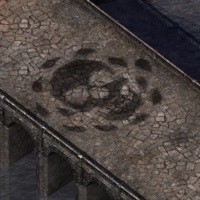 The threat of war looms over the city of Baldur's Gate. A crusade marches from the north, seizing supplies, forcing locals into military service, and disrupting trade along the Sword Coast. A charismatic warrior known as the Shining Lady leads this army, her background shrouded in mystery. Rumors whisper that she follows a divine agenda. Could the gods truly guide this Shining Lady? 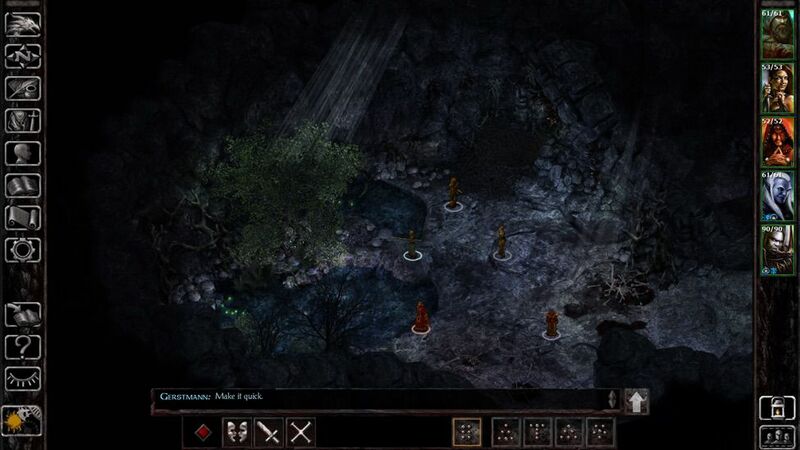 Siege of Dragonspear feels like a long-lost (and polished-up) chapter of the original, like it belonged from the start. That’s quite a feat, given the seventeen year spread in between. 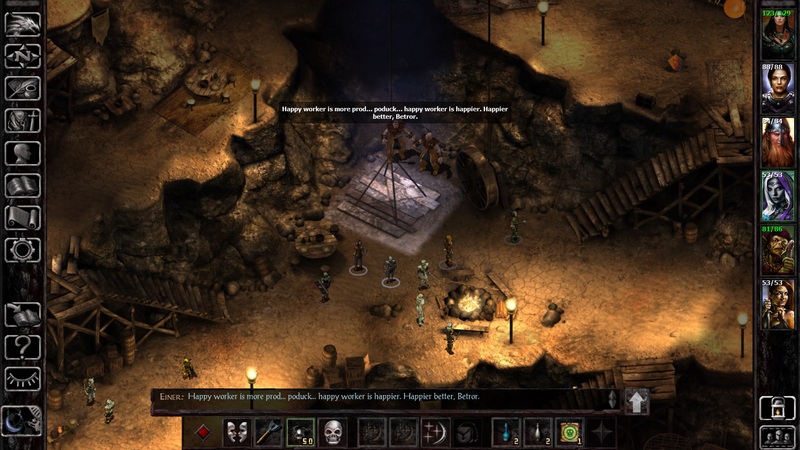 I wasn't expecting Siege of Dragonspear to bridge Baldur's Gate and its sequel the way it did, and I was pleasantly surprised, especially looking back from Baldur's Gate II and seeing how the mid-prequel sets the stage for events to come. Siege made me feel as if I'd come home after a long absence to find old friends waiting for me, with the same life and spark I remembered from when they first journeyed by my side. 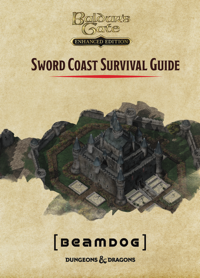 Explore the Sword Coast: Venture through vibrant new regions of the Sword Coast, with an area greater than Tales of the Sword Coast and Throne of Bhaal put together! Extra Class: First new player class in over fifteen years: the spirit-calling shaman! 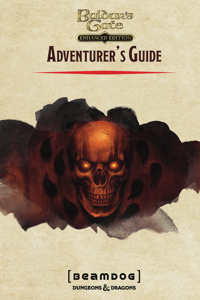 This rulebook contains everything you need to understand the rules and mechanics of the Baldur's Gate series, featuring up to date race and spell descriptions and an appendix of class progression tables to plan your character's ascent to greatness. This traveler's guide, penned by the illustrious Volothamp Geddarm, details the people and places you'll meet and explore while traveling the Sword Coast. 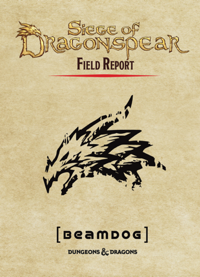 This supplement, written by Flaming Fist Corporal Bence Duncan, is your guide to the region surrounding Dragonspear Castle, as well as character profiles on some of the people you'll meet during the Siege of Dragonspear campaign. Q: Will I be able to play the expansion at release if I buy the Collector's Edition? Yes, you will receive a key for the digital version on the release date. Q: What platforms is the expansion going to be on? Windows/Mac on Beamdog and Windows/Mac/Linux on Steam. iOS and Android to follow shortly thereafter. Q: Is this an expansion? Do I need to own Baldur's Gate: Enhanced Edition? 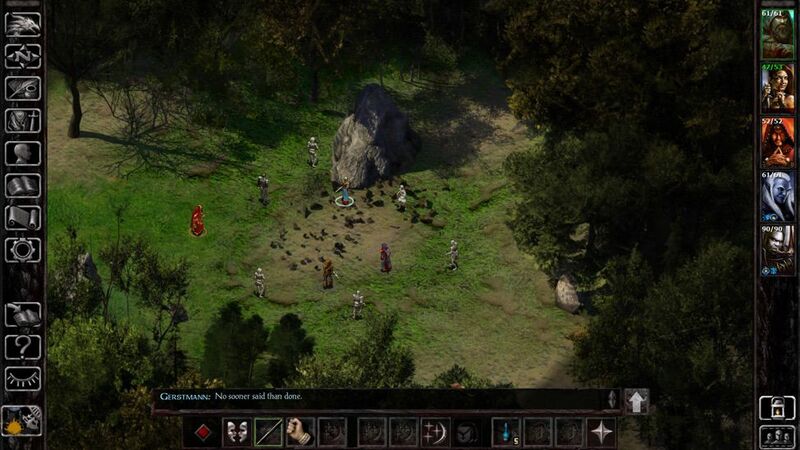 Baldur’s Gate: Siege of Dragonspear is an expansion to Baldur’s Gate: Enhanced Edition. 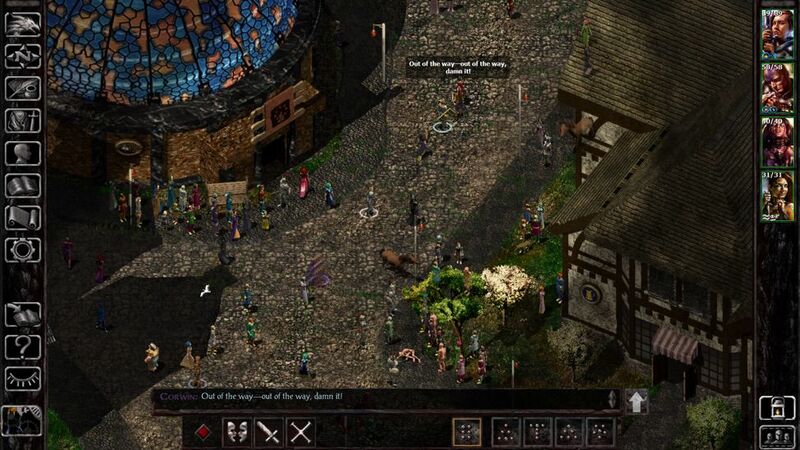 You need to own Baldur’s Gate: Enhanced Edition (on the same platform) to purchase and play it. 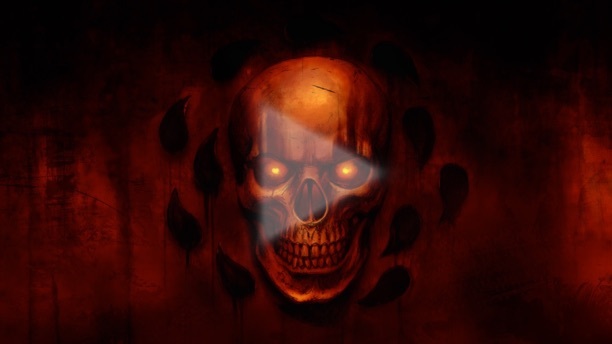 Q: Can I import my character or saved game from Baldur’s Gate: Enhanced Edition? Yes, you will be able to continue your adventure from Baldur’s Gate: Enhanced Edition in Siege of Dragonspear. 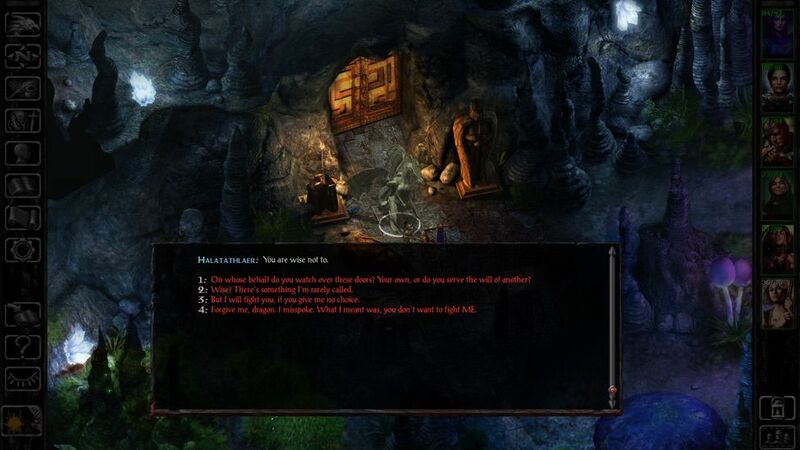 Q: Can I export my character or saved game to Baldur’s Gate II: Enhanced Edition? 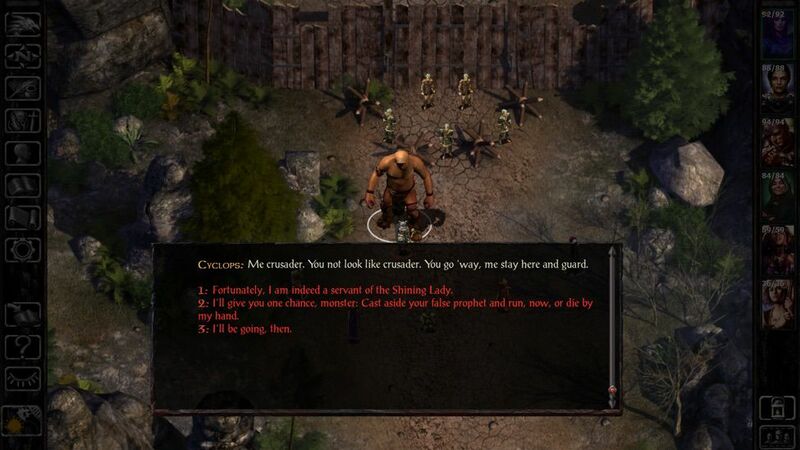 Yes, you will be able to continue your adventure in Baldur’s Gate II: Enhanced Edition by exporting your character to that game. 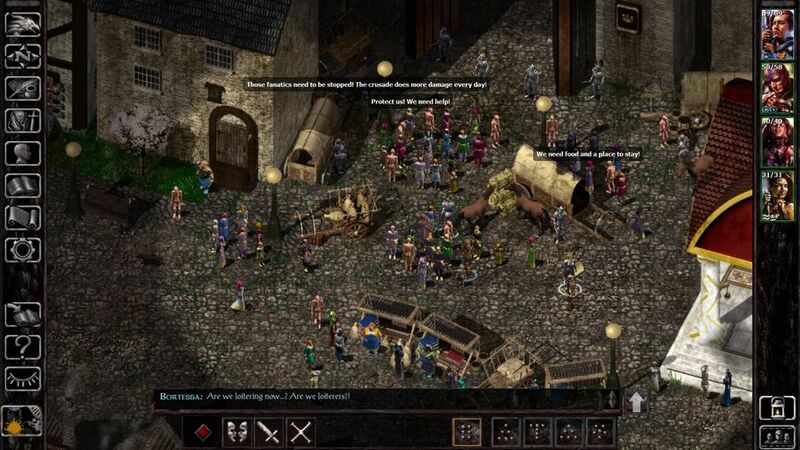 Q: How does Siege of Dragonspear fit into the Baldur's Gate saga? Is this Baldur’s Gate 3? 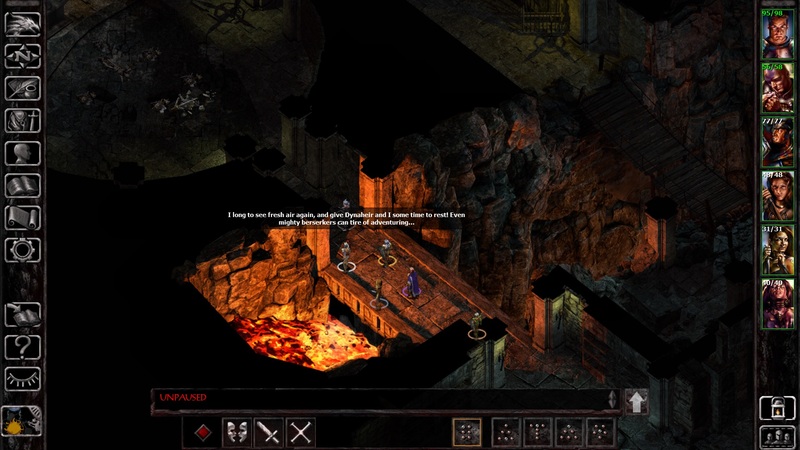 Baldur’s Gate: Siege of Dragonspear bridges the gap between Baldur's Gate: Enhanced Edition and Baldur's Gate II: Enhanced Edition, taking place after the first game but before the second. 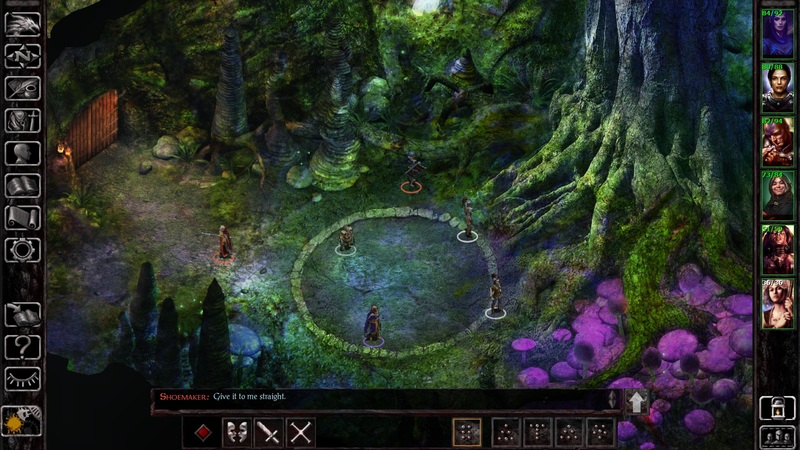 It is not Baldur’s Gate 3. 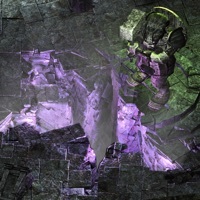 Q: Why didn't you make this expansion in a new engine instead of the Infinity Engine? We wanted to create a cohesive, old-school gaming experience that meshes with the parent games, and we wanted to bring people the experiences that only the Infinity Engine offers. 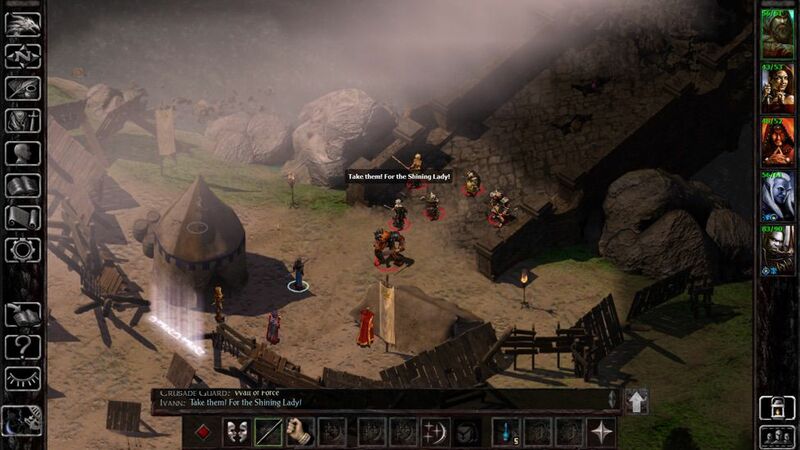 Q: Can I import my Icewind Dale: Enhanced Edition character to Siege of Dragonspear, or can I export my character from Siege of Dragonspear to Icewind Dale: Enhanced Edition? No, Baldur’s Gate: Siege of Dragonspear is only compatible with Baldur’s Gate: Enhanced Edition and Baldur’s Gate II: Enhanced Edition. Q: If I buy this expansion for desktop do I have to buy it again for tablets or phones, or vice versa? Yes. The expansion must be purchased separately for each platform. 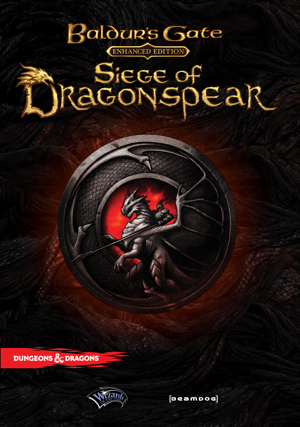 Q: If I buy on Beamdog.com will I get a Steam key? Yes. You can contact support@beamdog.com to request a Steam key. Q: How long is this expansion? Baldur’s Gate: Siege of Dragonspear offers over 30 hours of gameplay. Q: Can I play this expansion in cooperative multiplayer? Yes. 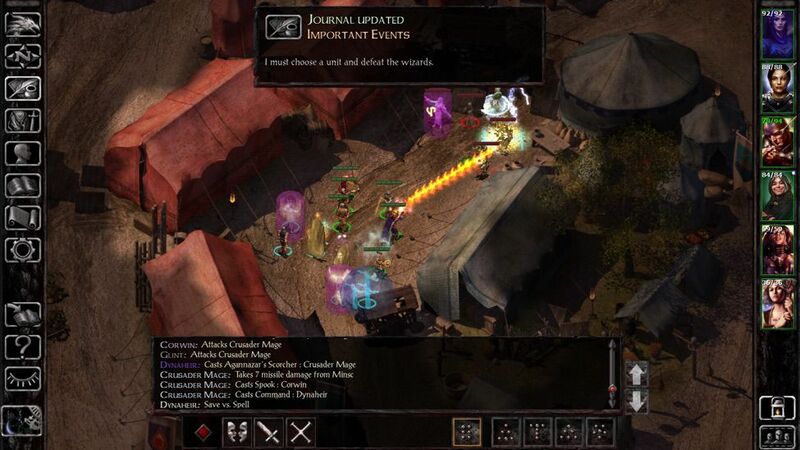 Siege of Dragonspear supports up to 6 people in cooperative, cross-platform multiplayer from start to finish. A deadshot archer who serves the Flaming Fist, Captain Corwin is ready to take the fight to the Shining Lady to protect the city she loves. A skald from the north who inspires his allies with epic tales--as long as the ale keeps flowing. A goblin on her own, determined not to return to her tribe. Her unusual shamanic magic may turn the tide of battle. The blessings of Baravar Cloakshadow follow this irrepressible gnome, who uses his clerical abilities to support his more subtle talents. An underground complex once dedicated to the Lord of Murder and now overrun with his enemies. 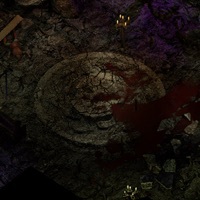 A dwarven city lost to time and memory, hidden deep within the earth and home to a sinister cult. The ruins of the famed castle built on a portal to the Nine Hells and once the source of an infernal invasion. 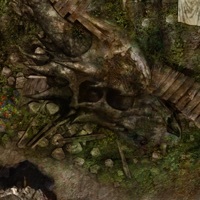 On this bridge, the mad Cyric slew Bhaal, Lord of Murder. The dead god’s blood still fouls the waters below. Sign up for news and information about our games, upcoming events, contests, and more.